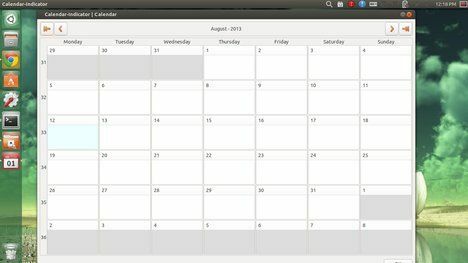 Want to use Google Calendar in Ubuntu? Well, here I’ll show you how to install an indicator which provides Google Calendar integration on Ubuntu and Linux Mint desktop. The calendar indicator is an open-source applet allows to add, edit and delete Google Calendar events as well as to create new calendars. Once you installed this indicator, you can login your Google Account and set the automatic synchronization time in its Preferences window. After that, you can click ‘Show Calendar’ in the indicator menu to dispay your calendar. The developer has added the packages to his PPA repository. So far, it supports Ubuntu 13.04 Raring, Ubuntu 12.10 Quantal, Ubuntu 12.04 Precise, and Linux Mint 13, 14, 15. Now what? Where’s it gone? goto term or hit F2 type ” calendar-indicator ” It will load then.. then edit the settings for it to auto start. Now Only if I could remove the calender I added. Installed on 13.10 Xubuntu. Looks good so far though it did not accept adding an event, at least I can see my calendar now. Thanks for the article. 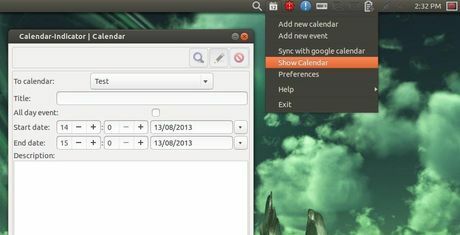 thanks for this post, I like this app, that’s exctly what I was looking for to integrate my ubuntu 12.04 with my google calendar, I have a question: how can u make the automatic sync to happen more often? the minum is every 12 hours.. I would like it to be always synced. do u think there is a way? 2) I have more then one google calendar linked to my gmail address and even if I see the list of all 4 calendars enabled ( preferences, access, calendar, all) the app is showing just the event of the main one. where is contact to developer??? ?